I read with grave concern of a breaking news published in The Star Online at 5pm yesterday. Petaling Jaya City Councillor (MBPJ), Mr Jeyaseelen T. Anthony, my service team and I paid a visit to the Christian cemetery this morning and we discovered, via a rough count, a total of 21 tombs were vandalized and damaged, particularly on the Cross. 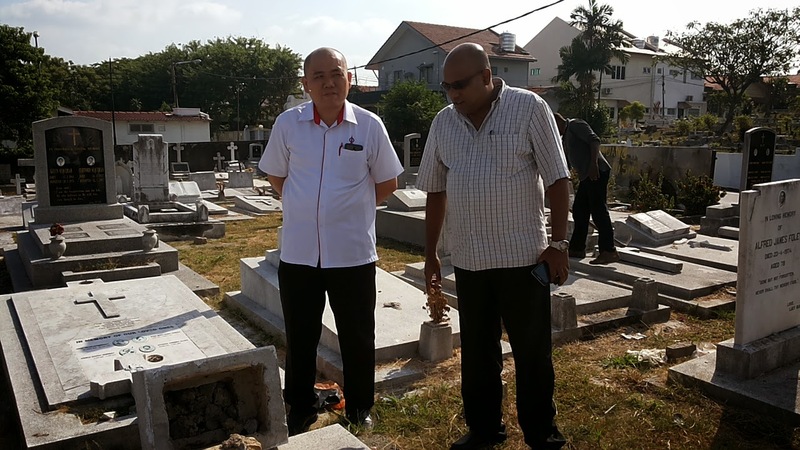 We were informed by a MBPJ gravekeeper, Mr Suppiah, that found out that the tombs were found to be destroyed on Wednesday morning and the policemen has come to investigate on Thursday. During my visit to the graveyard, it was found out that not only that the Christian tombs were vandalized, the Muslim surau opposite to the Christian cemetery next to the Muslim graveyard are also broken-in. 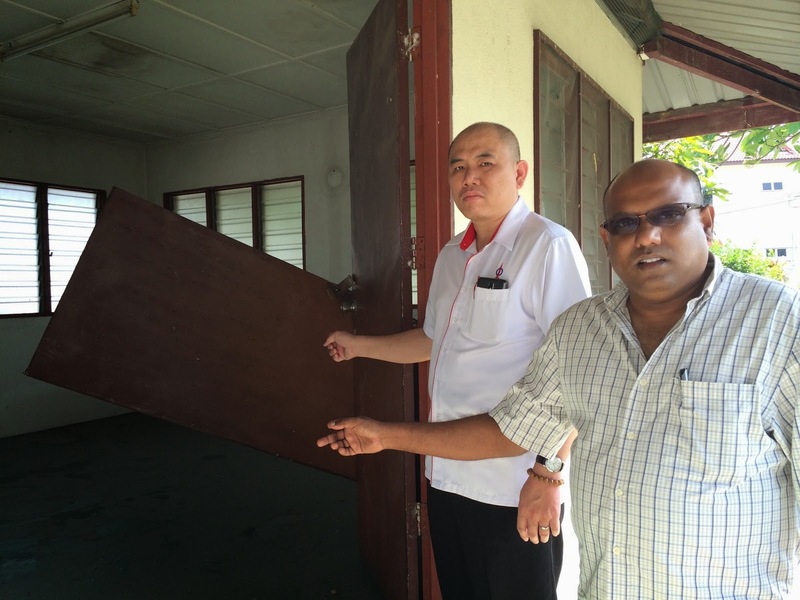 The wooden door of the surau was forced opened and destroyed and all the items inside the surau were stolen. The damage on the surau was not reported in the media and I wish this press statement can provide a full picture on the incident. Therefore I hope all parties can remain calm and allow the authority to continue and complete their investigation. We shall forever pray for the deceased for them to rest in peace. Mr Jeyaseelen will check with the council if the council can recover the contact details of the family members. We were also informed that the graveyard is a favourite spot for drug addicts. We will request the council to allocate more funds to tighten the security of the cemetery at night.